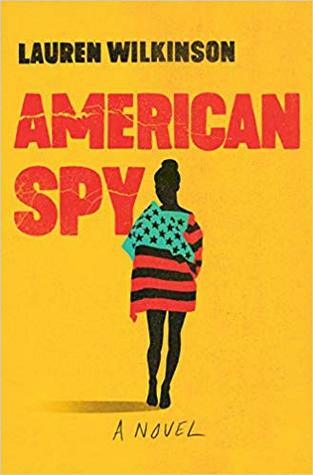 American Spy by Lauren Wilkinson is a novel taking place in the last half of the 20th Century, following an African-American FBI officer, recruited by the CIA to undermine an African leader. This is Ms. Wilkinson’s first novel. I enjoyed American Spy by Lauren Wilkinson very much, as it is a thought provoking book, which even though I might not agree with (based on my experiences), I can certainly understand the viewpoints presented. Ms. Wilkinson writing is fresh and elegant, easy to follow and tells a good story. I’ve read many spy books before, the Cold War is of course a setting to many of them because it provides such a rich background. This novel does take place during that era, but doesn’t take place in the Eastern bloc, but instead in Africa. The protagonist, Marie Mitchell, is a complex character which finds herself in the unenviable position of fighting for something she doesn’t really believe in. She is a strong woman, flawed, analytical, smart, who thinks for herself and doesn’t buy every story someone is trying to sell her. As any good spy novel, it mixes espionage with politics, complex characters, and a healthy dose of “based on true events’ in the storyline. This is an excellent novel, debut or not, which makes you think even though I didn’t agree completely with Marie’s philosophy I, at least, understood where she came from. Marie Mitchell works as an FBI intelligence officer, but cannot break into the old boys club being an African-American woman. An opportunity to live the drudge of office paperwork behind falls in Marie’s lap when she joins a task force to undermine Thomas Sankara, president of Burkina Faso. Sankara’s communistic leanings have made him a target to.